Check back every Tuesday, all season long, for the Pulse Check, our weekly NFL Recap. The Vikings’ trade to get Sam Bradford just before Week 1 can be fairly described as a classic panic move. With a defense that’s ready to win now and a generational talent at running back who turned 31 years old in the offseason, the Minnesota organization had no desire to waste this season losing games en route to a 7-9 finish. Shaun Hill did just enough to win in Week 1 against a bad Titans team, but the kinds of slow, wobbly ducks he sprayed around the field would not cut it in pivotal games like Sunday night’s. For the Vikings to repeat as NFC North champions, replacement Sam Bradford will need more performances like his brilliant display in this game. He picked apart a good secondary with plenty of help from wide receiver Stefon Diggs. Diggs caught all nine passes thrown his way to finish with almost 200 receiving yards and a touchdown. Diggs has been the breakout star of the first two weeks. If he sustains anything close to this level of play, that will be massive for Minnesota, whose offensive line has been dreadful in the running game. If they don’t improve, the Vikings will need a good passing game to score points. Many will look at Green Bay’s damp squib of a performance in this game as a failure to make an early statement in the NFC North. That they failed to achieve that symbolic victory is not particularly concerning. What is concerning is that much of the uncharacteristic problems that plagued Green Bay in 2015 do not appear to be resolved. Aaron Rodgers put together a steady Week 1 performance with the occasional flash that reminded you that it wasn’t so long ago that his status as the League’s best QB was nearly unchallenged. 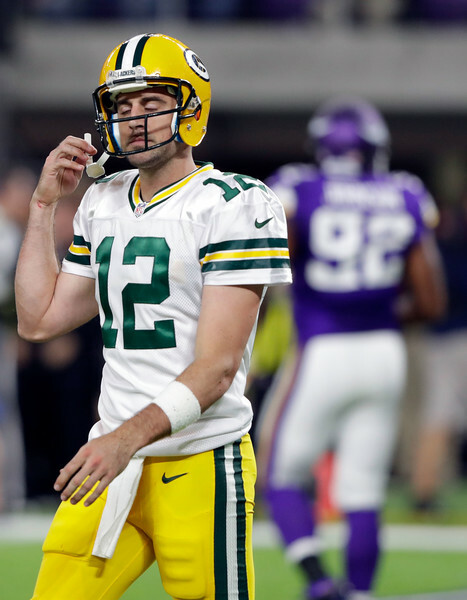 Rodgers was awful Sunday night, responsible for two turnovers and fortunate that it wasn’t several more. There is every reason to think that Aaron Rodgers is still among the NFL’s best quarterbacks. Though Rodgers was poor by any standard all on his own, completely unacceptable performances from Green Bay’s other skill position players have made him look mortal. Simply put, Green Bay’s receivers are not getting open, and it’s now fair to wonder how good Eddie Lacy actually is. Big win for the Vikings, PTSD flashbacks of 2015 for the Packers. 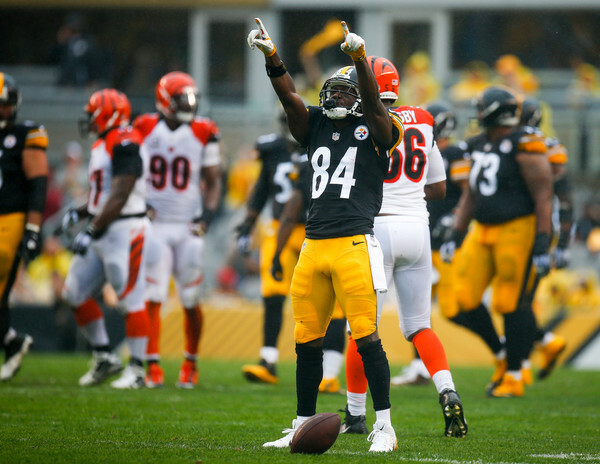 Cincinnati’s defense kept the Steelers’ overpowering offense in check for most of the game, but with a talent pool this deep, Pittsburgh doesn’t need a whole lot of breathing room to put up points. Ben Roethlisberger didn’t have a day to write home about, but his two long completions to Sammie Coates were enough to put Pittsburgh in position to score. As much fun as it is to talk about Pittsburgh’s offense, the performance from their defense is what really caught the eye here. AJ Green was one of the best offensive players of Week 1, absolutely demolishing Darrelle Revis for nearly 200 receiving yards. Pittsburgh’s secondary is not supposed to be a strong unit and they kept Green bottled up all afternoon, only allowing two catches. Cornerback Ross Cockrell did most of the heavy lifting against Green, and he was the best player on the field. The Steelers’ defense was not supposed to be the unit primarily responsible for winning tight games against good teams. If their performances in the first two weeks are any indication of what’s to come, Pittsburgh is going to be very tough to beat this year. The Raiders bandwagon got really revved up this offseason, with some league observers going so far as to label them a Super Bowl contender in the AFC. It makes some sense. They had a lot of fun young players at fun positions, the pieces they added to their defense figured to lead to improvements, and they were one of the most sneakily entertaining teams of 2015 for those who were watching closely. There’s nothing sneaky about how entertaining the first two Raiders games of 2016 have been. After leading a furious comeback to win in New Orleans by 1 in Week 1, the Raiders fell a little bit short in another shootout in Week 2. Matt Ryan was terrific, making frequent use of the Jacob Tamme-Austin Hooper tight end pairing. Tamme and Hooper torched Oakland’s inside linebackers and safeties all game long. Though Derek Carr and Oakland’s offense appear to be on the up, Oakland’s defense was supposed to be a strong unit this season and they have been lit up in consecutive weeks by two teams with obvious offensive weaknesses. If Oakland is to match the hype, it’s obvious which unit needs to start pulling its weight. 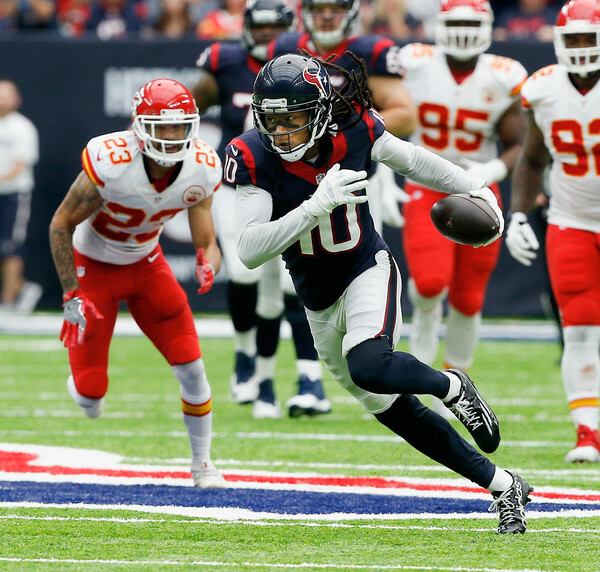 DeAndre Hopkins was one of the best players of Week 2, making mincemeat of one of the NFL’s better sets of starting cornerbacks in Marcus Peters and Phillip Gaines. He is an absolute joy to watch. More importantly, the NFLis more fun when there are more fun teams in it. The Chiefs demolished the Texans in the wild card round last year because Houston had a very clear ceiling with Brian Hoyer at quarterback. Brock Osweiler’s first two weeks serve as another reminder of the influence of going from bad to average at quarterback. Someone might not “have to win the AFC South by default, I guess,” this season. The Rams’ defensive line and Aaron Donald in particular were incredible in this game, but in direct contrast to the preceding section of the article – the League is less fun when there are fewer fun teams in it, and the Seahawks’ offense is abysmal right now. A slow offensive start to the season is not what you would call a new problem for Seattle, so it’s still too early to panic. However, struggling mightily against good defensive lines in back to back weeks will do nothing to alleviate concerns about Seattle’s glaring offensive line inadequacies. Watch out for the Jets. Ryan Fitzpatrick actually looks really good so far. If they actually have an offense, they could make a run at the playoffs. The good news for San Francisco is that it looks like their offense might actually be okay this season even with Blaine Gabbert at quarterback. The bad news in this game is that the Panthers are just a lot better than they are. 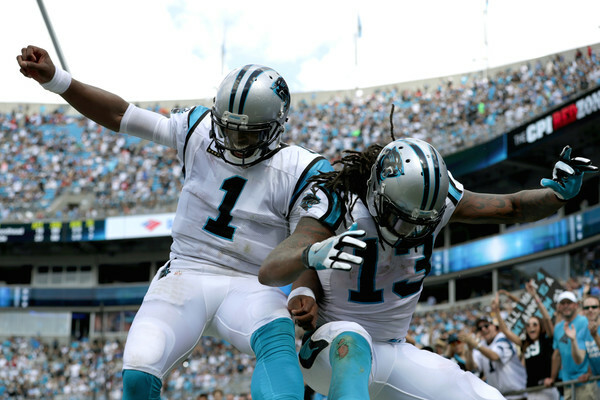 Kelvin Benjamin looks like one of the best receivers in the NFL. He hasn’t missed a beat since that ACL injury. The Browns were up 20-0 in this game and then ‘Brownsed’ it all up, allowing Baltimore to score 25 unanswered points to escape with a win. The Ravens haven’t looked particularly impressive this season, but at 2-0, they won’t mind. Also, “Brownsed it all up” should be a common phrase everywhere. Let the revolution begin! A disappointing showing from a Detroit offense that looked ready for a big step forward last week. I guess playing the Colts makes life easier for all offenses. The Jimmy Garropolo era lasted two weeks. The Jacoby Brissett era has begun. Brissett won’t have an easy first game this Thursday against Houston. Either way, by starting 2-0, the Patriots have already ensured that Tom Brady will not return to a lost cause. Mission accomplished. Big letdown in entertainment value after these two teams combined for 13 touchdown passes last season. The Giants’ defense should give them reason for optimism in a wide open NFC East. They look most improved, with back-to-back strong performances. The Redskins entered this season hoping that an improved secondary and the continued growth of Kirk Cousins would give them the inside track in the NFC East. Marquee free agent Josh Norman has been great through two weeks, but the other holes in the Washington defense have been exploited ruthlessly in back to back weeks, and Cousins has come out of the gate looking like a dud. Earning almost $20 million on a franchise tag and hoping to earn a contract that would place him among the League’s highest-paid QBs, Cousins has been 2016’s worst quarterback in a division that features two rookie projects. Dallas still looks comfortably behind New York and Philadelphia in the NFC East pecking order, but a division win on the road will give them reason to hope that Dak Prescott can keep them in the race until Tony Romo’s return. This is more like what we expected from both of these teams after Week 1’s weirdness. Even though the Bucs did a good job against the Cardinals’ running game, David Johnson was a dynamic receiving threat out of the backfield, with a game-high 98 receiving yards. After being exposed by Jimmy Garropolo in Week 1, the Arizona secondary intercepted Jameis Winston 4 times. 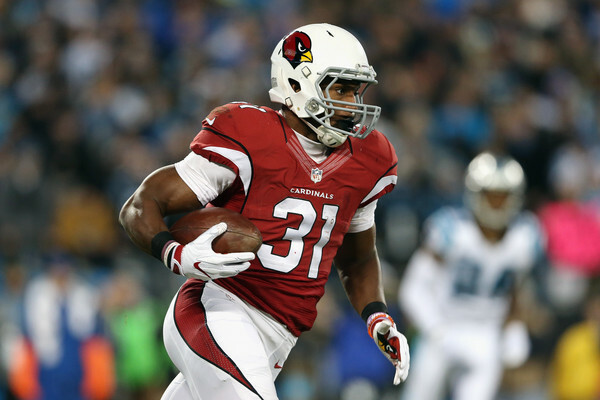 The Cards are the best team in the NFL when they’re clicking. Poor Andrew Luck. This Colts team is bad and in games where Andrew Luck is anything but superhuman, they have no chance. Many league observers expected a dropoff this season for Denver because the quarterback play was still going to be bad and there was seemingly no imaginable way that the defense could be as good as it was in 2015. The early returns on the defense are hugely positive and though Trevor Siemien has hardly been a world-beater, he has a step up from what Peyton Manning provided a season ago. Denver looks primed for another run. Jacksonville was a preseason darling of many who were trying to identify which bad team would turn things around in a hurry this season. They’ve got some intriguing young players, particularly on the offensive side of the ball, but they got absolutely waxed in this game. Same qualifier as last week – no one is under the impression that the Bears’ defense is going to be good this year, but damn it all if Carson Wentz doesn’t look really good through two weeks. The Eagles’ defense was expected to be a pretty strong unit this season. All of the questions about what might hold them back were on the offensive side of the ball. Wentz probably still has a rookie disaster scenario game or two in him, but if he can produce eight or nine more performances like his first two, there’s no reason the Eagles couldn’t win the NFC East this year.